Updated Ranch in Foothill Green. New roof and gutters will be completed ASAP (Hail Claim). Desirable Westridge Area. 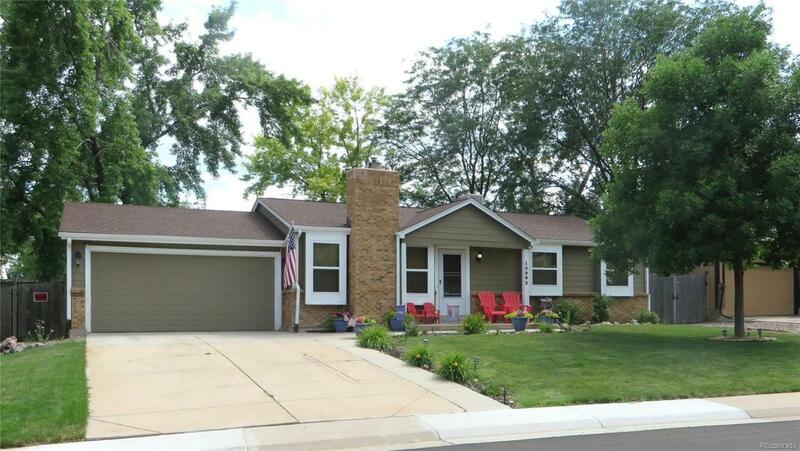 Vaulted Ceilings, Open Floor Plan, updated Baths. Open Kitchen w/Breakfast Bar. All Appliances Included. Living Room Features Stone Fireplace w/Energy-Efficient Pellet Stove. Updated Doors and Trim. Huge partially-covered Back Deck w/ Hot Tub Opens to Large Backyard w/Utility Shed and garden area. Auto-Sprinklers. Ample Room to Expand in Full Basement. Sold AS-IS.